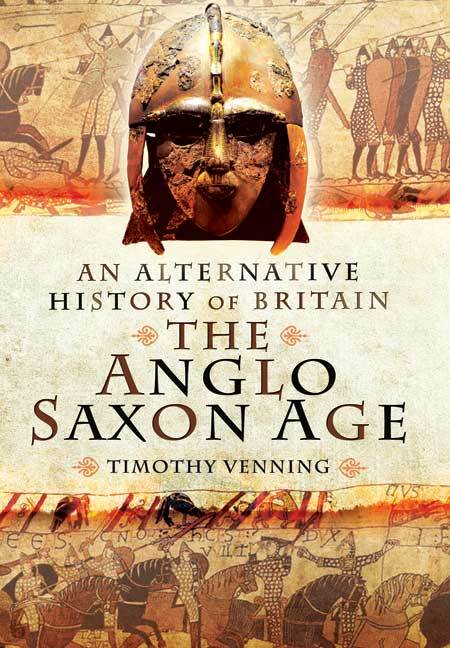 You'll be £19.99 closer to your next £10.00 credit when you purchase An Alternative History of Britain: The Anglo-Saxon Age. What's this? Dr Timothy Venning starts within an outline of the process by which much of Britain came to be settled by Germanic tribes after the end of Roman rule, so far as it can be determined from the sparse and fragmentary sources. He then moves on to discuss a series of scenarios which might have altered the course of subsequent history dramatically. For example, was a reconquest by the native British ever a possibility (under 'Arthur' or someone else)? Which of the Anglo-Saxon kingdoms might have united England sooner and would this have kept the Danes out? And, of course, what if Harold Godwinson had won at Hastings? This book serves two valuable historical purposes - first to remind us how little we actually know about some of the events of this period, especially the early conquest period, and second to remind us how big an element chance played in the rise and fall of the various Anglo-Saxon kingdoms, the eventual unification of England and the various eleventh century conquests. It is also an entertaining read, taking us through nearly seven hundred years of alternative histories at a rapid pace. The author explores the various decision points in a fascinating period of British history. The author is clearly knowledgeable about the subject matter. If this was the only book you read on the Anglo-Saxon age then you would come away with a sound knowledge of the period and with some interesting ideas to raise in debate with friends – such as “if Harold II had won the battle of Hastings, who would have succeeded him?” and “could Northumbria, with a run of good luck, have conquered the whole of England”. Timothy Venning is a historian who is fascinated by 'what ifs' and near misses, by those moments when events hung in the balance, and he seeks to explore all the alternatives. This book is part of a series that shows just how many turning points there have been in British history. In The Anglo Saxon Age, Venning looks at the establishment of the early English kingdoms, with the arrival of Germanic tribes in a country where Roman rule had collapsed. The book is full of fascinating arguments and alternatives and ideal for anyone who sees history as a source of intelligent argument. His (the author's) speculation is interesting, enjoyable and in parts persuasive. This is a book that may encourage some heated debate, some disbelief and some enthusiastic followers.